Jill joined Seacoast Eat Local in October of 2015 as the organization’s first ever full-time Director of Programs. Her commitment to advocacy and education surrounding issues of local food security and availability matches well with Seacoast Eat Local’s mission to connect people with sources of locally grown foods and to advocate eating locally for the health of our environment, community, culture, and economy. 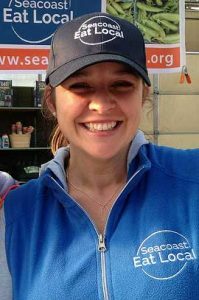 Prior to her role at Seacoast Eat Local, Jill established her career with a strong background of experiences in social services; community and civic engagement; and education. She received her graduate degree from the Harvard Graduate School of Education in 2012. 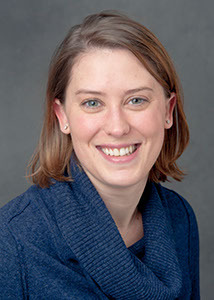 She holds a Master’s of Education from HGSE’s Special Studies Program, where her academic work focused on principles of place-based education in rural communities. Jill served as the Program Coordinator for the Strafford County 4-H Program in New Hampshire for three years, an experience which would eventually lead to her path in non-profit management. In addition to her professional responsibilities with Seacoast Eat Local, Jill is a board member of New Hampshire Agriculture in the Classroom, a Farm Bureau member, a member of the Dover Chamber of Commerce Education Committee, an alumna of Leadership Seacoast (Class of 2013) and a founding member of the Strafford County Development Professionals Working Group. Shelly comes to Seacoast Eat Local from a background in research and plant biology with experience in the local agricultural community as a founder of a local no-spray farm operation. She is deeply committed to making local food increasingly accessible to communities in the Seacoast by improving viability of our small farm operations. Her passion for local food has been shared at farmers’ markets (at times with a small child in tow), and is furthered in her role as manager of the Winter Farmers’ Markets. Shelly is responsible for administration of the SNAP incentive program and serves as a Regional Lead in the New Hampshire Nutrition Incentive Network, helping to expand the reach of SNAP incentives (Granite State Market Match) at farmers’ markets and farm stands in the Seacoast region. Shelly is also the Gleaning Coordinator in both Rockingham and Strafford Counties as part of the NH Gleans network, functioning to reduce food waste by re-routing local produce to food pantries. Shelly can most always be found chatting it up with customers at markets and spreading sunshine on cold winter mornings, often while munching on something leafy and green (baby kale being her favorite!). Her smile and laugh are legendary and dear to all those who know her – make sure you say hello to Shelly at the next farmers’ market! 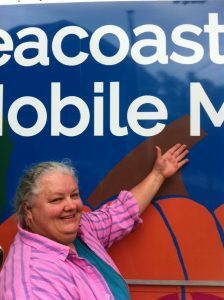 Celeste moves from Board Member and Co-Chair to SAMM Coordinator with Seacoast Eat Local as we launch this new and exciting project. 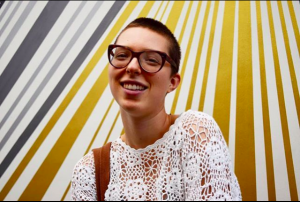 Long passionate about food access and hunger alleviation, and with a strong background in both food businesses and social services, we know that our fledgling program could not be better served than with her leadership and skill. As a business owner with over 25 years of experience, she has been a part of creating 45 Market Street Bakery and Cafe, Currants Cafe and Grille and Shore Bites. In this regard, her experience and local relationships have been nothing short of instrumental in creating the operational plans and product sourcing abilities of the mobile farmer’s market. Her hard work and get-down-to-business attitude have given SAMM the strong start it needs to be a successful program. Plus, she looks great behind the wheel! When she is not driving SAMM around the Seacoast or whipping up a batch of fresh salsa, you might find Celeste sitting on her porch engaged in a mean game of Scrabble with friends. She hopes to live in a world where everyone is kind, generous and happy, where strawberries grow in every garden and everyone works a 4-day week. We can’t promise all those things will happen, but we do know that with her help, SAMM will be increasing access to fresh, local foods to all people of the Seacoast– no matter where they live or how much money they earn. Margo first started with Seacoast Eat Local by interning at the SNAP booth at the Rochester and Somersworth summer markets in 2016. Inspired by the work and impact of her experience, she has continued her work as the SNAP Coordinator at the Exeter and Portsmouth summer markets, and now assisting with Marketing and Support. Margo’s passions include access to local food and nutrition education. She studied Sustainable Agriculture and Food Systems at the University of New Hampshire where these passions grew. She is also serving as an AmeriCorps member with Cooking Matters based at the NH Food Bank in Manchester, a program that offers cooking classes to individuals and families who are food insecure. The cooking classes are based on learning to create delicious, nutritious, affordable meals. In her free time, Margo loves exploring the beautiful landscapes in New Hampshire and Maine such as hiking in the Whites or enjoying the Seacoast’s multiple beaches. All the while munching on local produce of course!